Seamus is nice. The white on the sleeves aresupernice. If you want to tweak him a bit, add some color to that bulging vein on his right arm...like a purple/red glaze. My OSL efforts have been lacking, but if you lighten the center of the eye as the source of the light the effect would be sold further...maybe the same green brightened up with yellow right in the center of the eye. Thanks for the advice Krulebear. 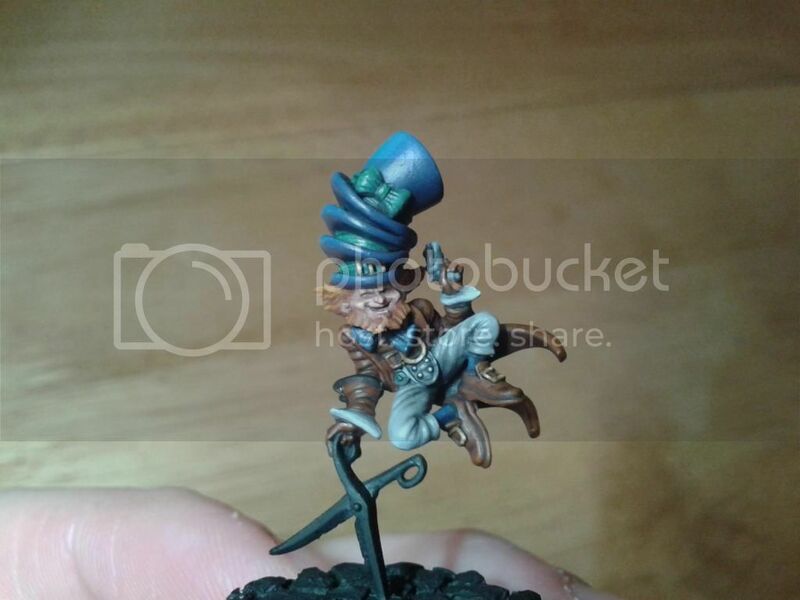 I think I might do that with the eye. I did give the vein a slight blue glaze, but it really doesn't show up on the photo, so I'm hesitant to make it brighter in case it looks good in a photo but a bit silly in real life, you know. I might give it ago anyway though! If it looks good irl then don't mess with it. Irl does not always translate to photos. Happy New Year to all! 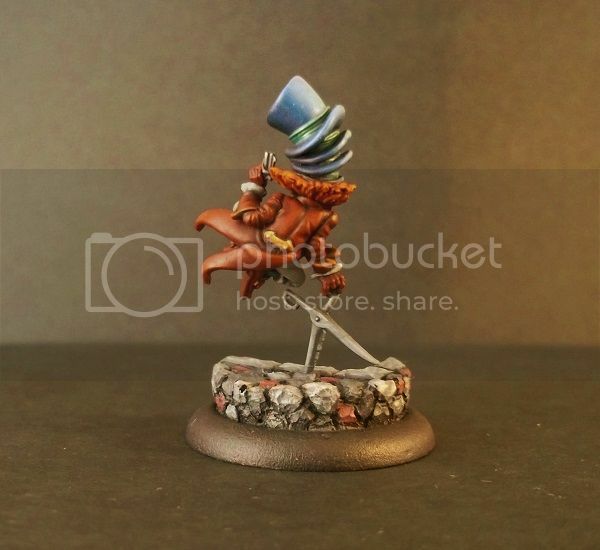 Thought I'd try and kick it off with keeping up with the wip...so firstly one of Wyrds Malifaux range again. 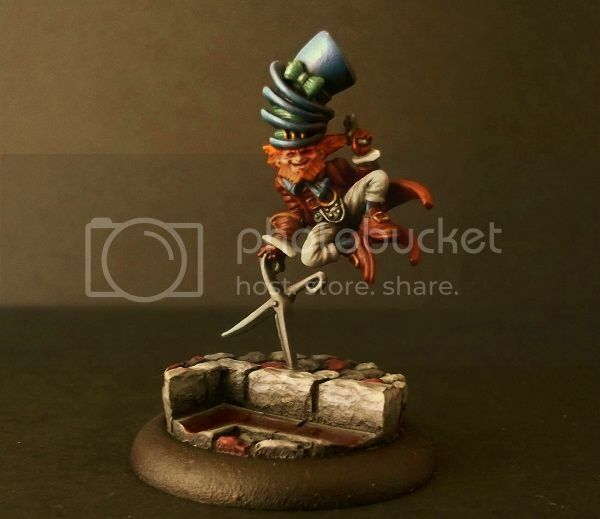 The copy cat killer from the Shadows of Red Chapel. 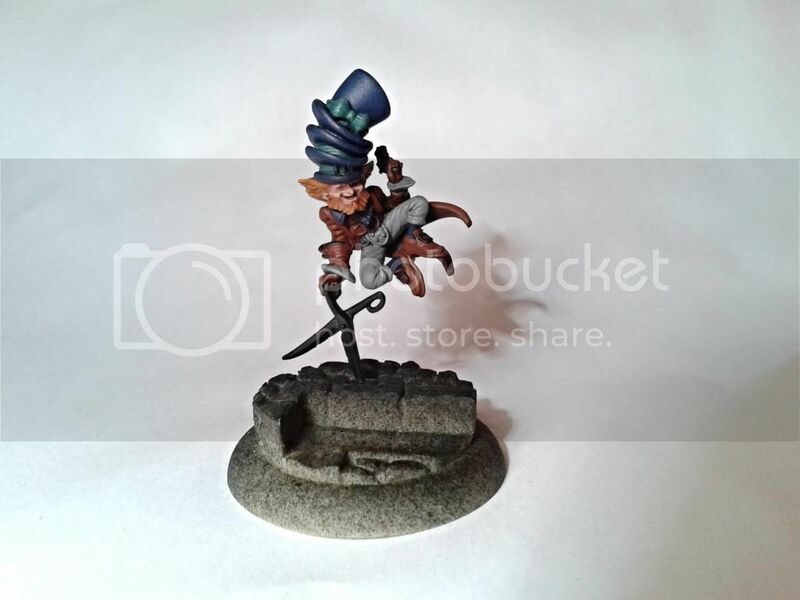 I like the Malifaux art work a lot and would tend to use it as a guide but as this guy is basically a leprechaun I decided to try out ginger hair. 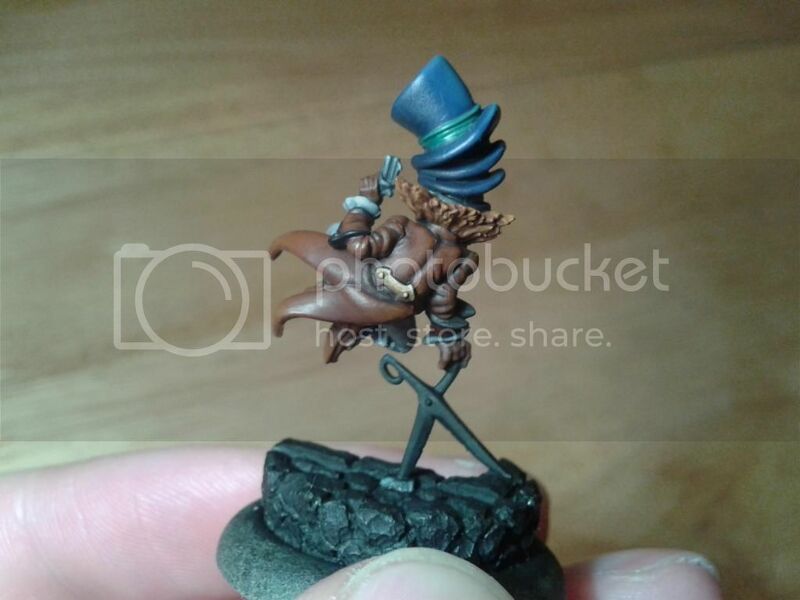 Wip guys, sorry picture isn't the greatest. Last edited by Sigmar3; 01-04-2015 at 06:35 PM. Cool. 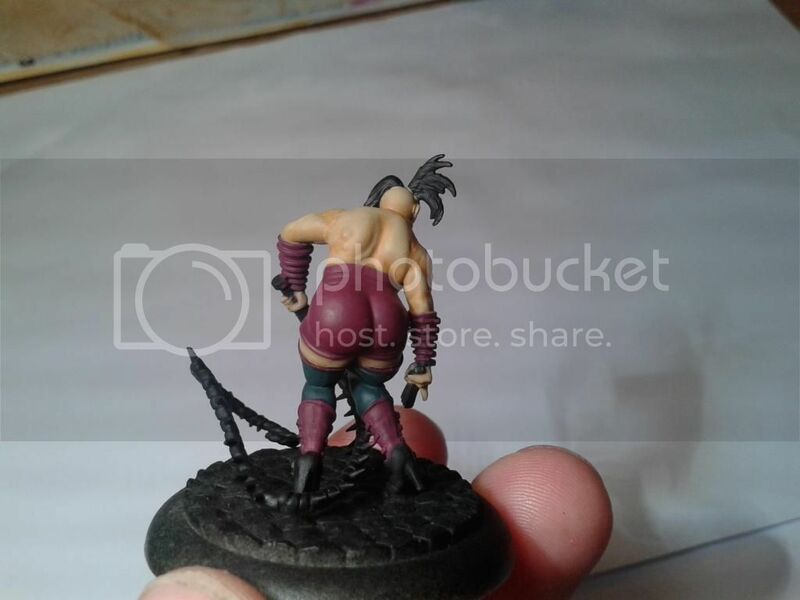 I keep seeing these neat Malifaux minis that i do not notice when i look through the racks at the flgs. I would like to see it with a fully detailed hair/beard, do you think you could add little wisps of grey to it? Also when are you getting on to the rest of the set? Pleeease do Madame Sybelle next, she a classy lady. Getting on with it, gearing up for some nmm on the scissors. He is preeety small lol. 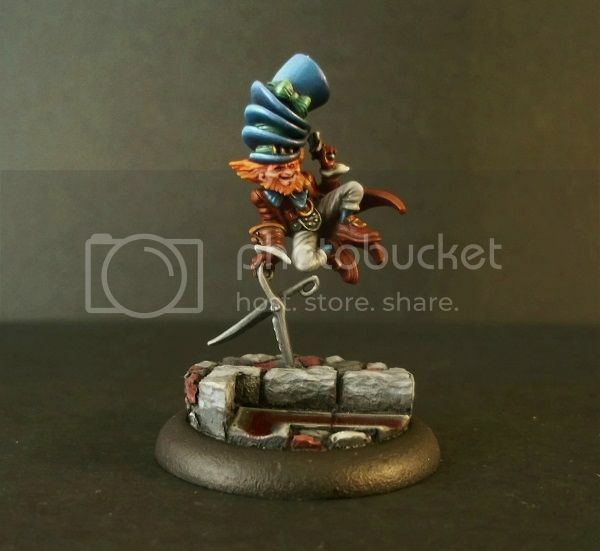 Anyone else painted a version of this out of interest? Hi guys. I've finished (or I'm basically happy with) the Copy Cat Killer and I'll try get up a pic soon, not a camera phone one. 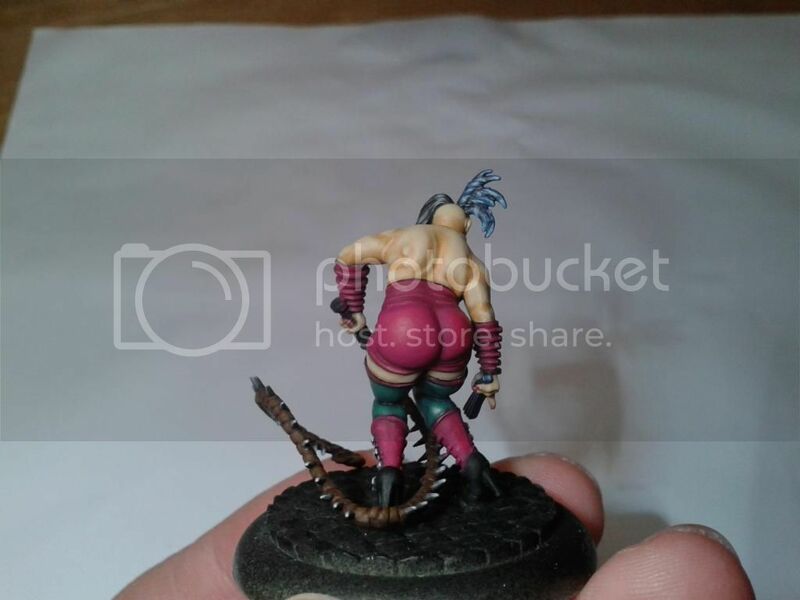 However instead I have started the bare basics on Madam Sybelle. I want to follow the art work mostly, but I want also want to go for a waxy dead look. See how it goes. Slightly messy at the moment. 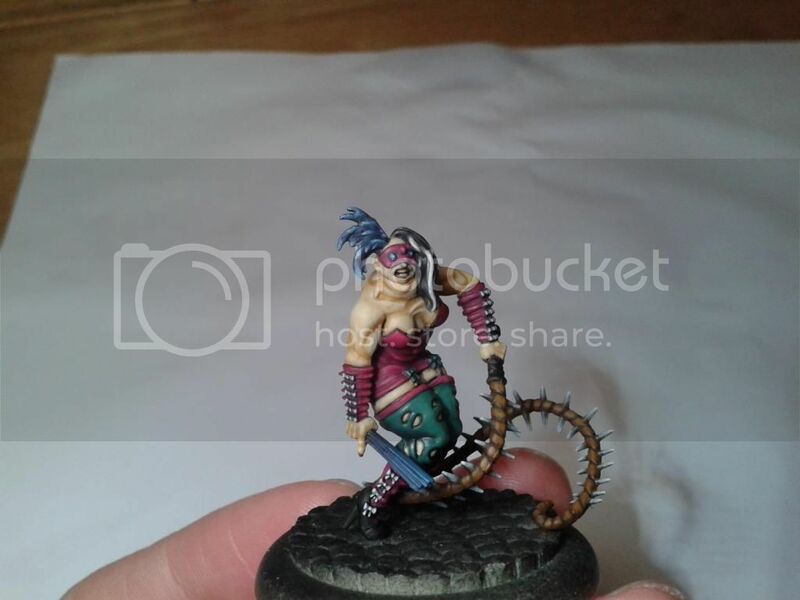 I somehow missed your WIP here...Yay for more malifaux stuff! Excellent stuff all around and I really like your Judge Dredd. Hey there Moetle lol. Thanks very much. The Dredd model was a present for someone, I'm pretty happy it came out decent. And thanks also ten ball, means a lot coming from an artist like you! Madame Sybelle may have many faults but I think the customers come for that amazing booty, the high chance of death just adds to the excitement. Really nice job so far. Thanks lol. What do you think her rates are? not sure, something like $10-15 /hour? Almost done. 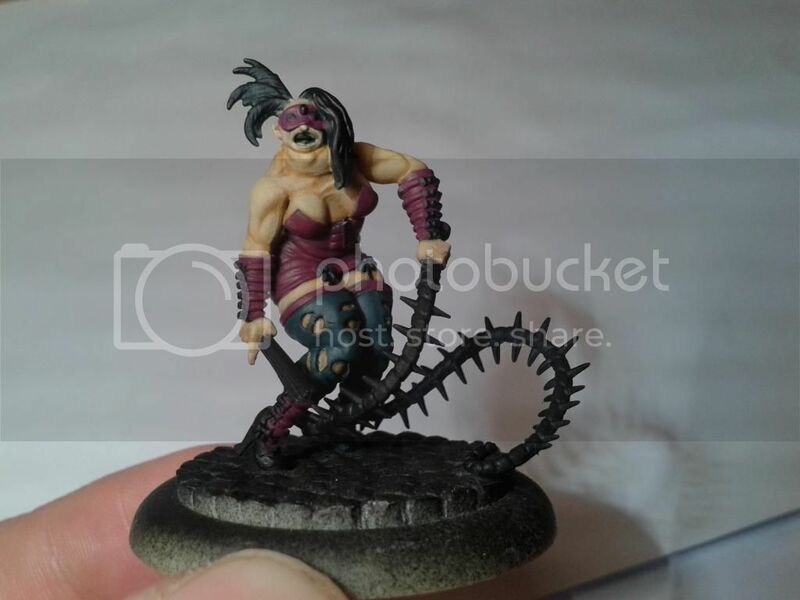 Not too sure how or what colour to do her shoes though? Some folks like that junk in da trunk. Very smooth painting. She looks great! Nice contrast between her hose and bodice pieces. Well done mate. I would do her shoes in a similar way as the feathers. That is assuming that the floor will be painted the same as the rest of your crew so far.